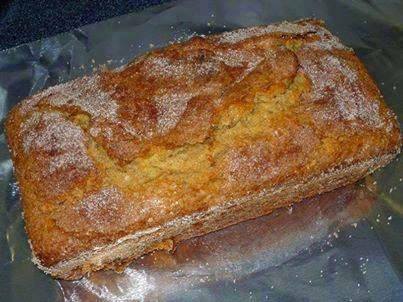 AMISH CINNAMON BREAD - Village View Publications, Inc. I, Linda has tried this delicious bread. So easy to make, no kneading, with a great flavor and smell of cinnamon. I make this recipe every Christmas. This year I made 7 loaves of Bread. So here are some of my helpful hints. When putting in the first batter only put a little in. ​And only add Cinnamon / Sugar mixture to your liking. DO NOT USE ALL OF MIXTURE IN 1 PAN AS STATED. Because you add this mixture 2 times to the batter. After the 1st batter, then on top of the batter. My suggestion is make 1 bread and try it. Also the batter makes more then one bread. Depending on the size of your pans. You mite want to a bake on the lower rack, just in case of a overfull. Or put a baking pan on the bottom. Flavor is great -- You can freeze the bread to, I use Foil and zip bags to. ​This recipe is a for sure KEEPER.